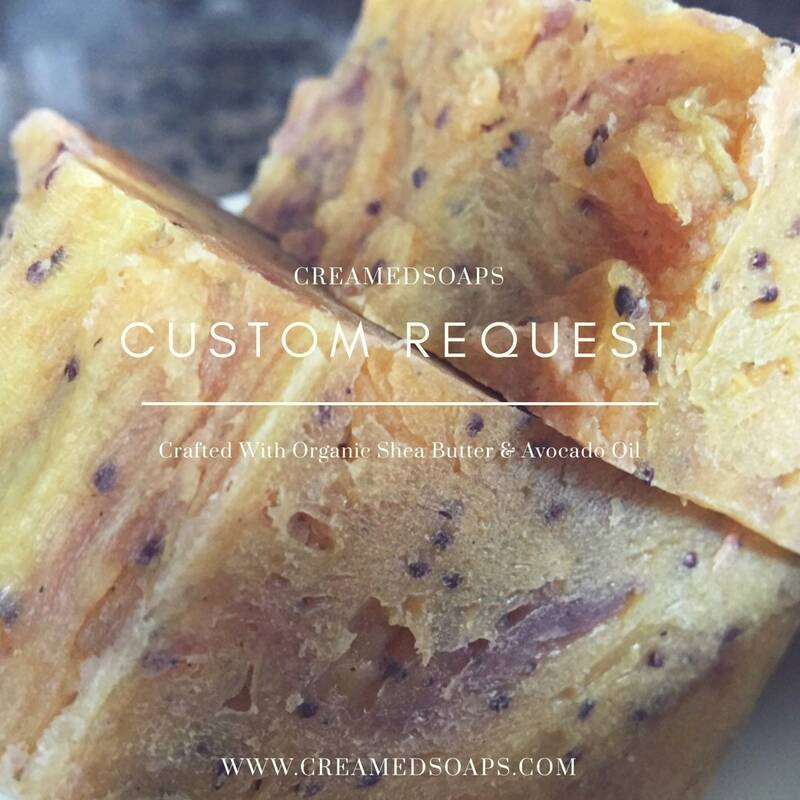 Have you ever wanted to "Create Your Own" soap, having the ability to choose which ingredients you are bathing in? Well now you can! Create Your Own bar based on current IN STOCK ingredients. Choose one of our current bars and enhance it with Raw Goat's Milk, Organic Honey, Oatmeal or Cranberry seeds. 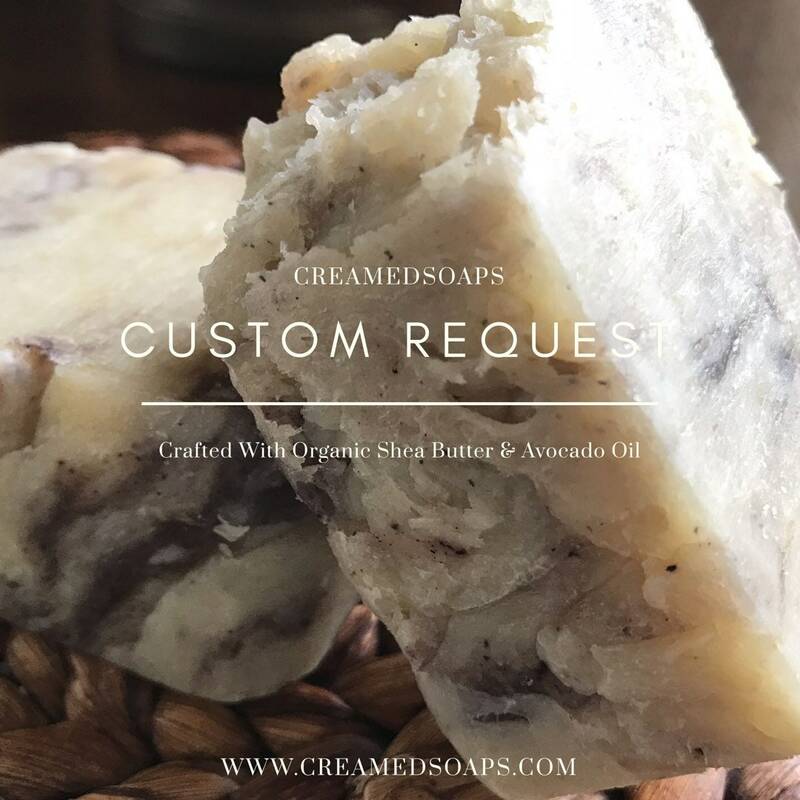 All bars are "Creamed" with Organic Shea butter and Avocado oil. This order will yield (8) 5oz handcut bars. Lastly, YOU NAME IT! 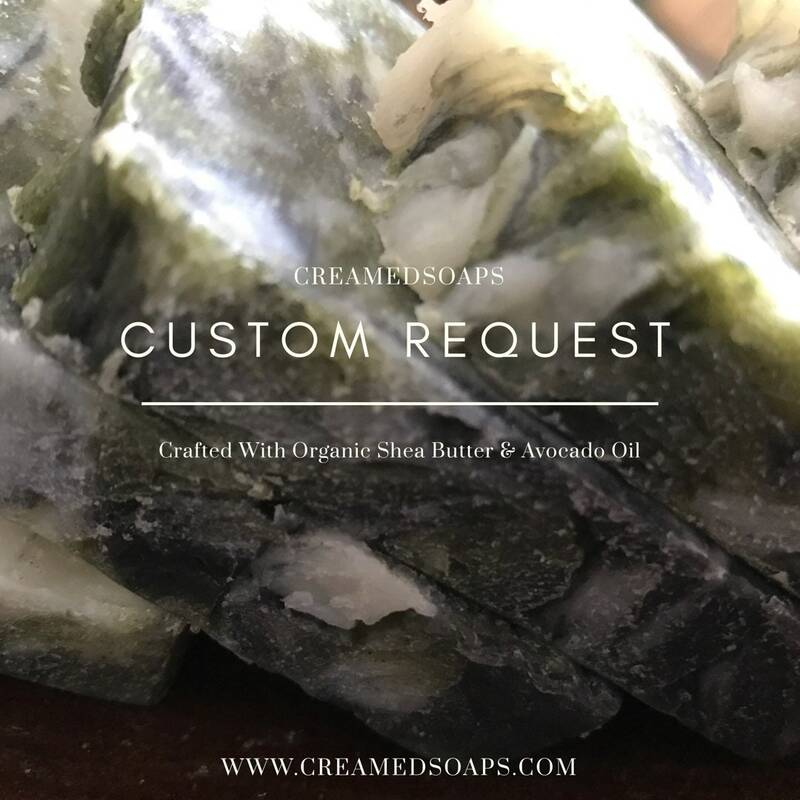 Contact us today to create your custom bar! I love my custom order! 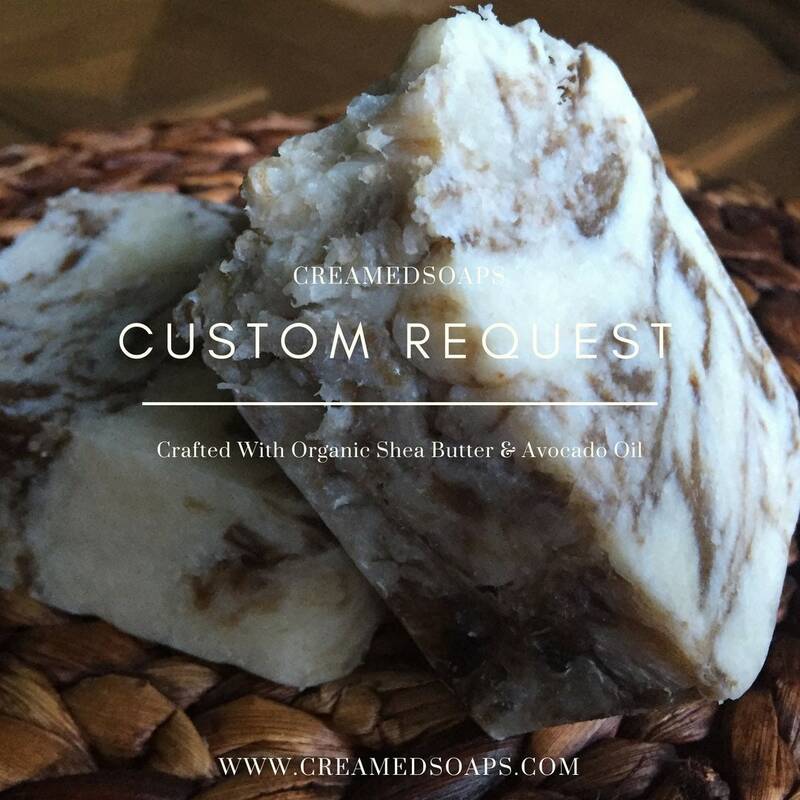 This soap is fragrant but clean and very moisturizing.